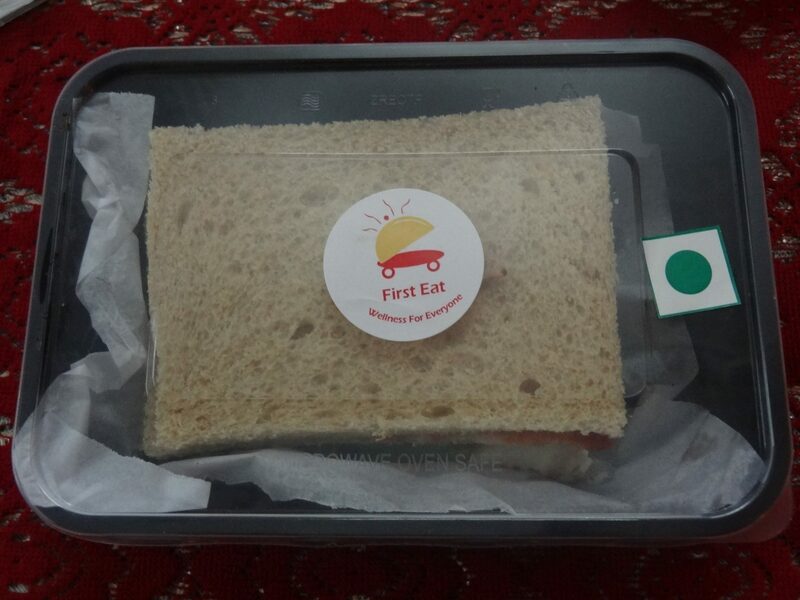 First Eat, a one-of-a-kind all day healthy meals delivery service is based on the concept on ‘healthy living’ to provide people the right kind of awareness and availability of healthy food intake for good health using technology as a platform. A brainchild of 4 co-founders- Saikat Bagchi, Rishabh Tickoo, Mannat Wadehra and Shitiz Dogra, they at First Eat believe that ‘healthy food is the cornerstone of good health’. The menu is curated keeping in mind their core TG- mainly corporates who have a huge tendency to skip the most important meal of the day and do not have affordable healthy meal options filling the gap. 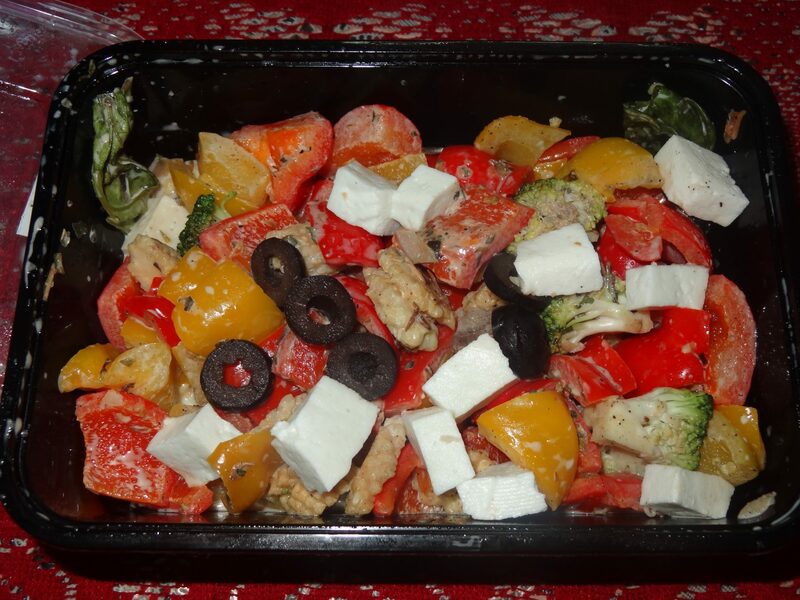 We started off with the Heaven’s Garden Salad (Veg) which was a classic salad with exotic veggies like red & green bell peppers, broccoli and olives with cottage cheese. It was a nice & refreshing salad and had a taste very similar to pizza toppings. 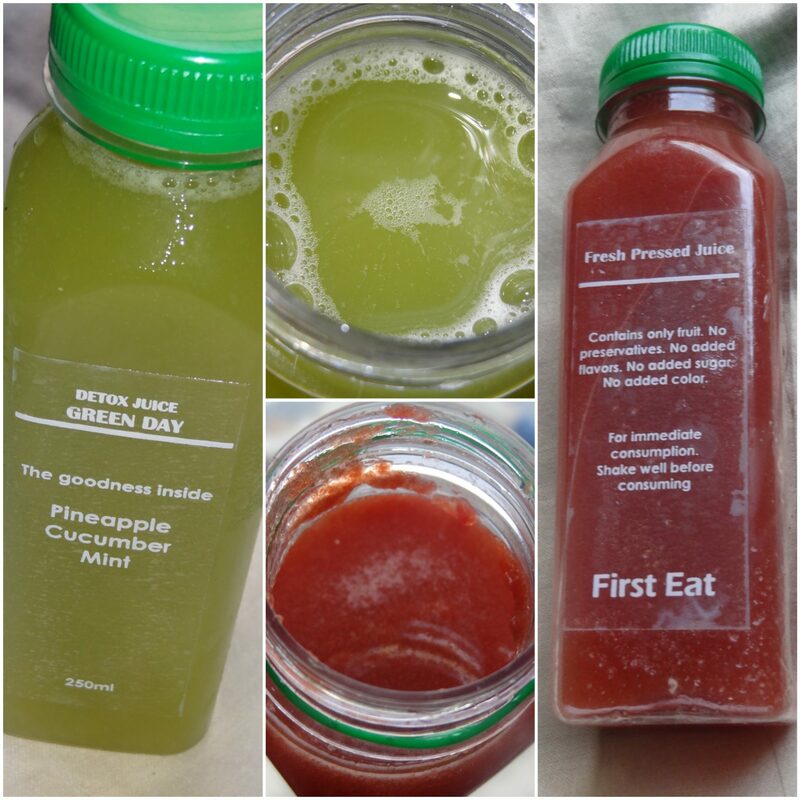 Next were some detox juices- Green Day with goodness of pineapple, cucumber & mint while Summer Nirvana had the goodness of watermelon, muskmelon & cucumber. Both the juices were sweet & not bitter in taste. What I liked was the refreshing flavour and acted as a power & metabolic booster. 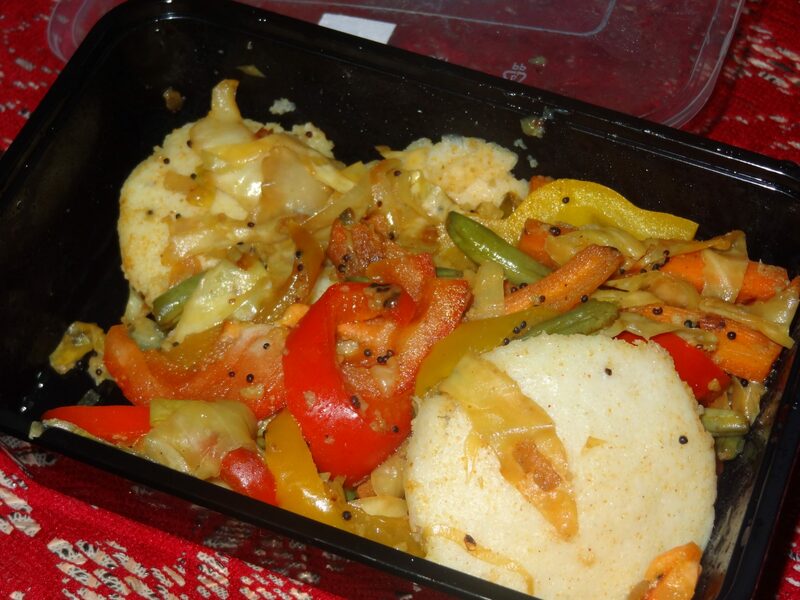 The Idli Salad had lots of mustard seeds, fresh tomatoes and yellow & red bell peppers with French beans and small fluffy wholesome idlis. Very light and great to taste! 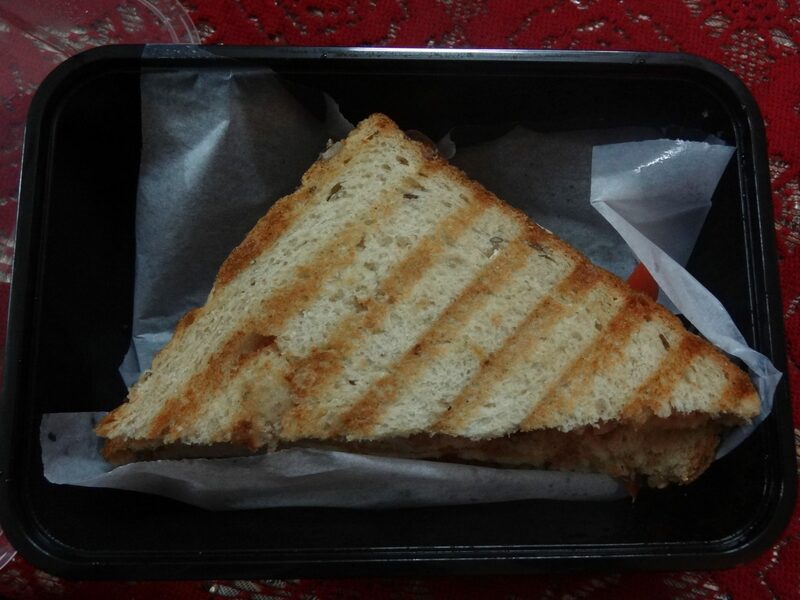 The Veg Club Sandwich reminded me of my school tiffin which my mommy used to pack. 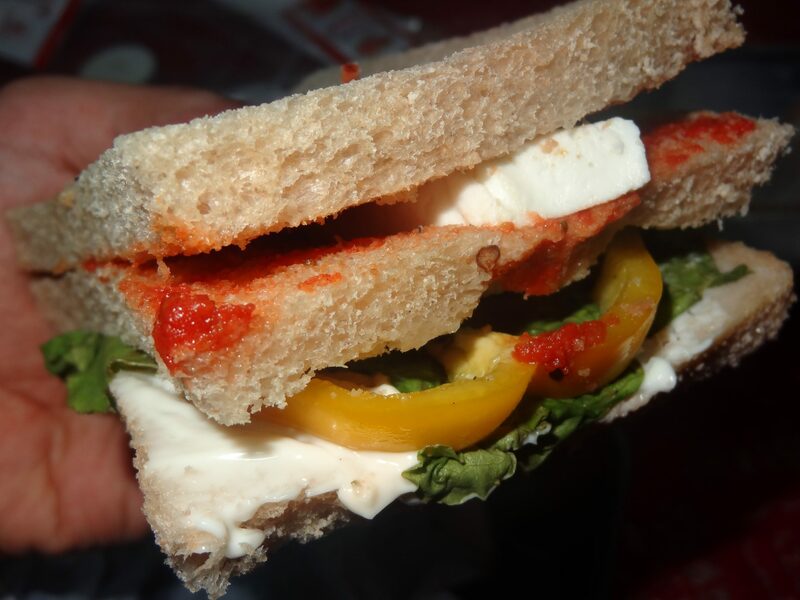 It had fresh brown bread with protein rich veggies like red & yellow capsicum and cottage cheese with cheese & herbs. Loved it! The Chicken Salami Sandwich was nice, innovative, light & a refreshing delight with loads of tomato sauce, omelette, red capsicum, chicken salami, onions & herbs. All the food is packed in re-usable microwave/oven containers which can be heated. I felt I had a refreshingly tasty meal with my favourite food i.e. sandwiches & idlis twisted and made into a new way. I remember their motto #PehleKhao (First Eat) but with this option of eating healthy, light & right there is nobody stopping me from eating as its so healthy and yes the calories, I forget when I eat, its like a refreshing breeze to my tiresome everyday roti & chawal routine. It broke my everyday monotonous diet & gave me a new way to think & eat healthy.